We were delighted to have Mollie visit us last week as part of her final year placement. 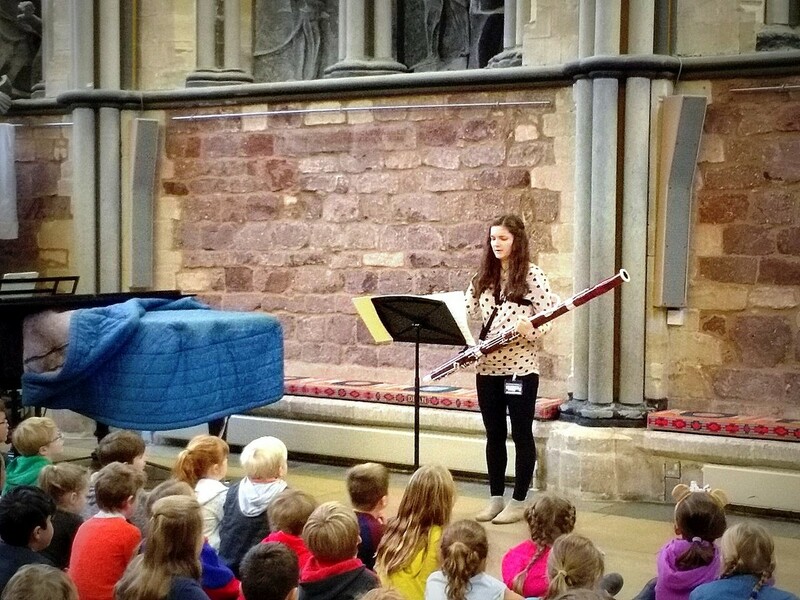 Mollie, who is a student at the Royal Welsh College of Music and Drama, has been supporting the ECS Music Department. 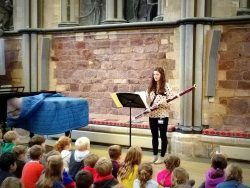 She even managed to play the Bassoon for assembly! I am in my final year at the Royal Welsh College of Music and Drama where I am studying the bassoon, and have a diploma in bassoon teaching. I do also play the piano and sing but it is not a part of my course. I visited ECS for a five day placement as one of my elective modules includes a Vocational Project in Applied Teaching Skills. I chose to visit ECS because as a chorister school it has a very vibrant music department, with many of your students already having a strong involvement in music, so I thought there would be lots for me to see which there was! The aim of the module is to develop teaching skills through a mixture of shadowing and participating on the placement. During the assembly in which I talked about life at music college and as a musician, and how I got to where I am, I played an excerpt from Saint-Saëns’ Bassoon Sonata, and Funk by Fabio Gianolla, which is a more contemporary piece of music that uses extend techniques including multiphonics.